The creamy white hue and small shape of the Peruvian white habanero (a.k.a. white habanero or Peruvian white lightning habanero) may make you think the chili’s heat is lesser than its orange cousins. But the white habanero packs an equal – if not more potent punch – to the common habanero with a similar fruity, slightly smoky flavor. 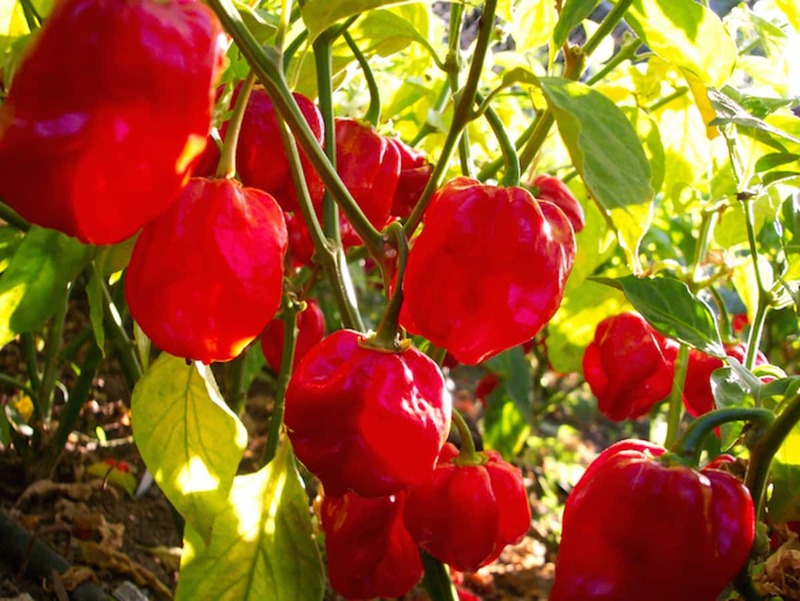 The Peruvian is a looker, too, making it an extra hot chili that works perfectly as an ornamental pepper plant as well. 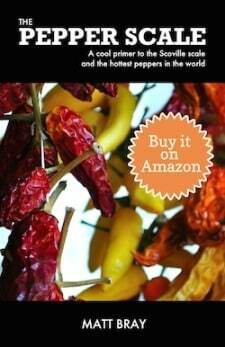 How hot are Peruvian white habaneros? 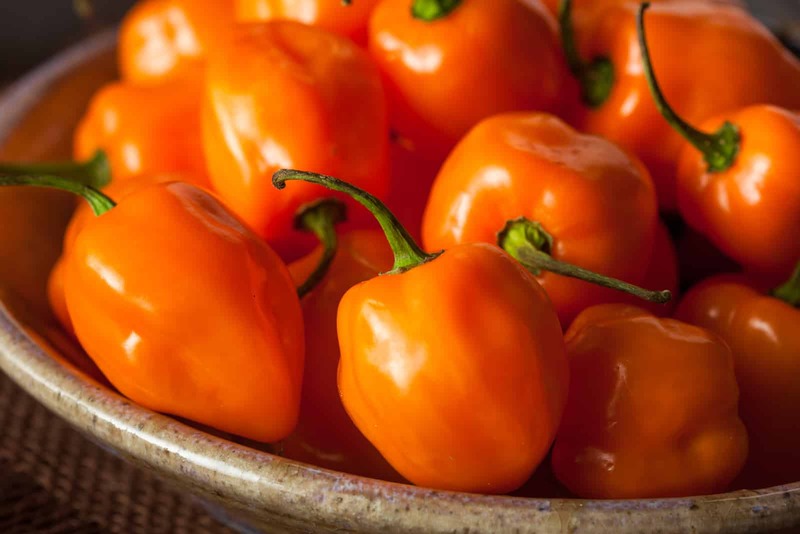 There’s a similar big heat to the diminutive Peruvian white as there is in the common orange habanero: 100,000 to 350,000 Scoville heat units. That’s a big jump from our jalapeño reference point, 12 to 140 times hotter than a jalapeño pepper. 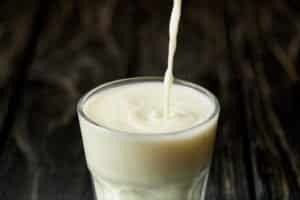 And many feel the white habanero actually bites a little harder on average. It’s a heat that surprises many due to the jelly bean-like appearance of this pepper. It just doesn’t look like it’s going to be this hot. What do Peruvian white habaneros look like? Think jelly bean in shape and you’re pretty close. The Peruvian white has a thin lantern-like shape, growing up to two inches long, but only about 3/4 of an inch wide. These are tiny chilies, where more than a few can fit in the palm of a hand. In terms of color, white habanero start green then age into white shades ranging from a light yellow to creamy white. These are beautiful plants and peppers, making the Peruvian white an excellent choice as an ornamental pepper plant, especially if you like your chilies extra hot. One plant can actually produce dozens of these tiny chilies at a time. What do Peruvian white habaneros taste like? Again, that neutral white hue hides a whole lot of complexity. It’s a similar flavor to the common orange habanero: citrusy and slightly smoky. 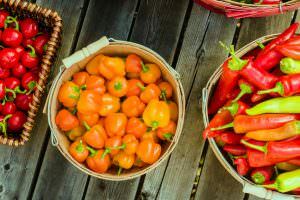 There’s a lot more flavor here than you find in more common ornamental pepper plants that are grown to optimize looks and not taste. Mexican and Caribbean cuisines are where you’ll typically find white habanero used, with the same use cases as common orange habaneros. 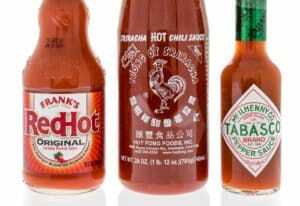 They are often used to provide fire to marinades, soups, and hot sauces. Fresh white habanero is also an excellent salsa chili – bringing big heat and smoky sweetness with that unique white color. It’s a nice twist to change up the color aesthetics of your plate. 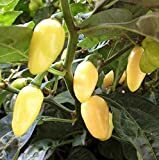 Where can you buy Peruvian white habaneros? This is one of the harder to find varieties of habanero pepper. Expect to spend some time seeking it out, unless you grow it yourself in your garden, as a container plant, or as edible ornamental landscaping. 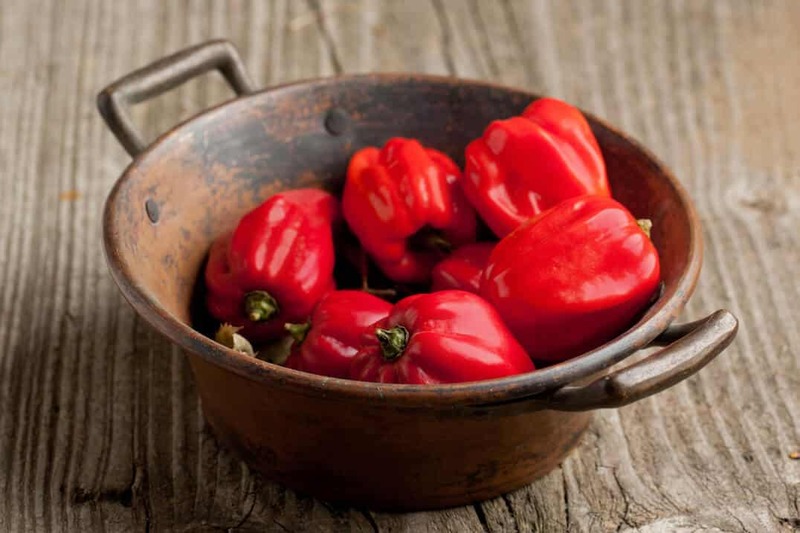 Peruvian white habanero seeds are widely available online for those with a green thumb. Yet, for all the difficulty to source, this is a very useful chili: unique and beautiful looks meet a fiery smoky sweetness. 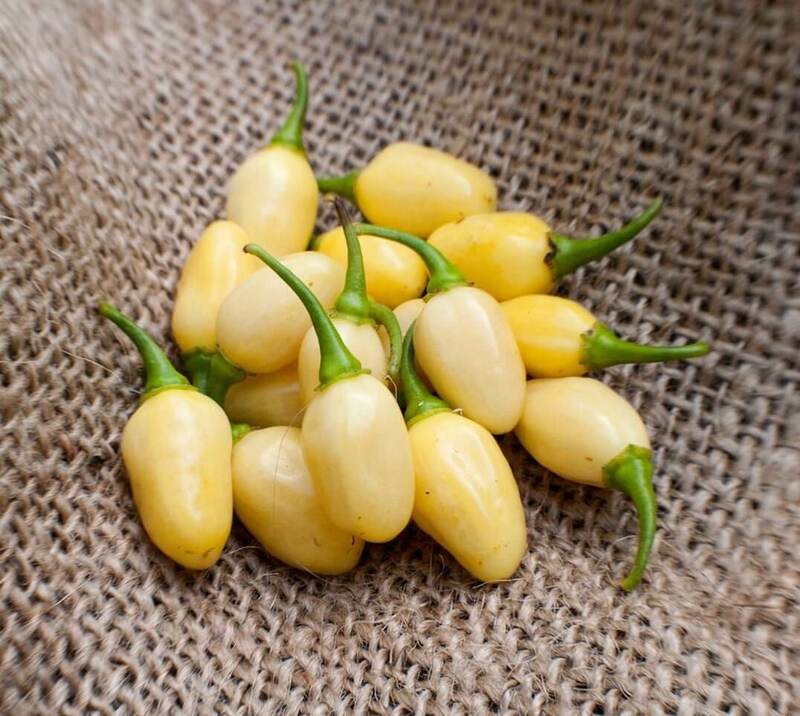 The Peruvian white habanero can beautify a garden and deliver big habanero flavor all in one.